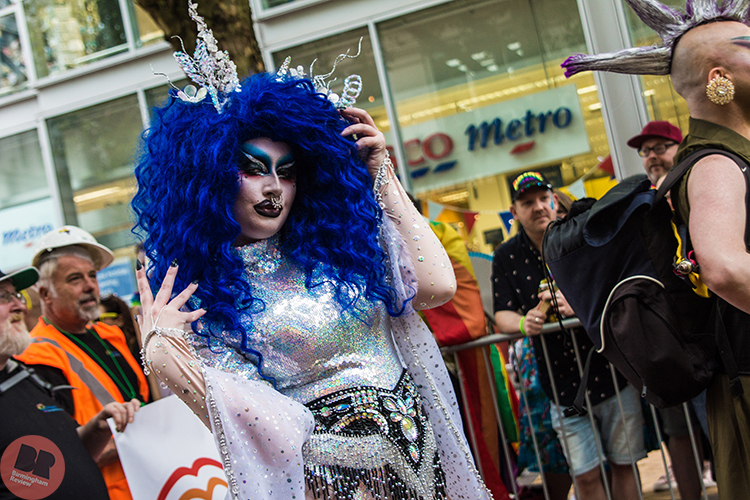 Pride returned to the streets of Birmingham celebrating its 21st year, with 2018 being “the biggest Birmingham Gay Pride in our history” reaching ‘record ticket sales for an event that’s set to attract tens of thousands of people’. 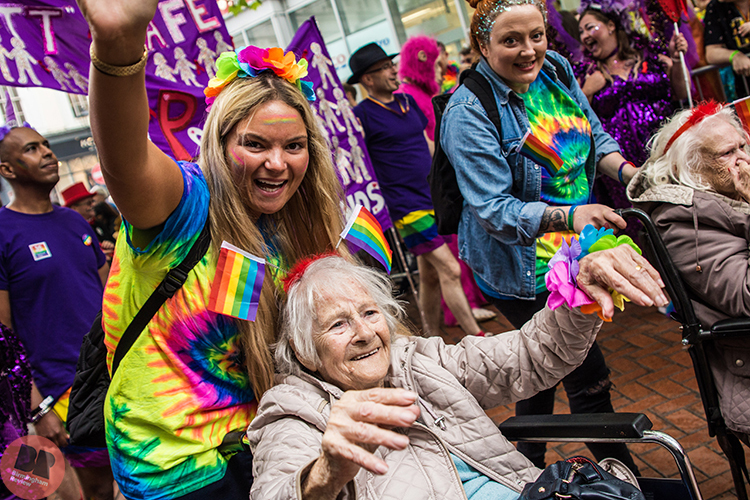 Birmingham Pride festival director, Lawrence Barton, noted, “it’s incredible to think how far Pride has come since 1997… it was on a single stage with only a few hundred guests”. 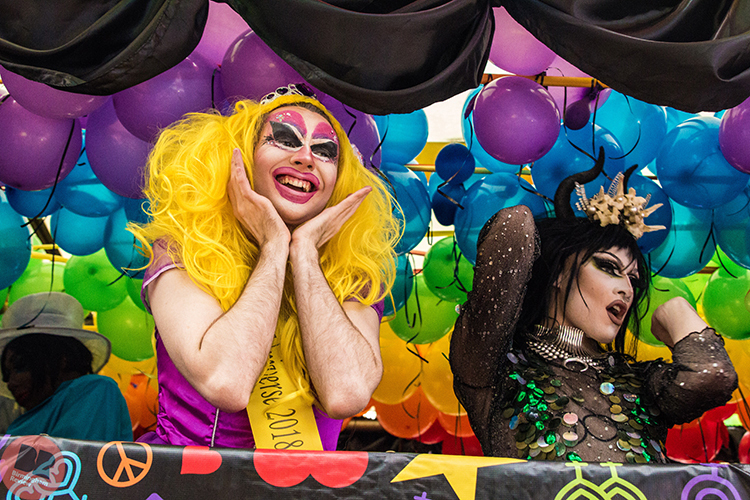 The two-day LGBTQ+ event was held over the late May Bank Holiday weekend and stretched across the whole second city; this years’ new additions included a street food court, a beer garden area, new locations for the dance arena and cabaret stage, and the introduction of a Future Stage for upcoming acts at The Nightingale Club. 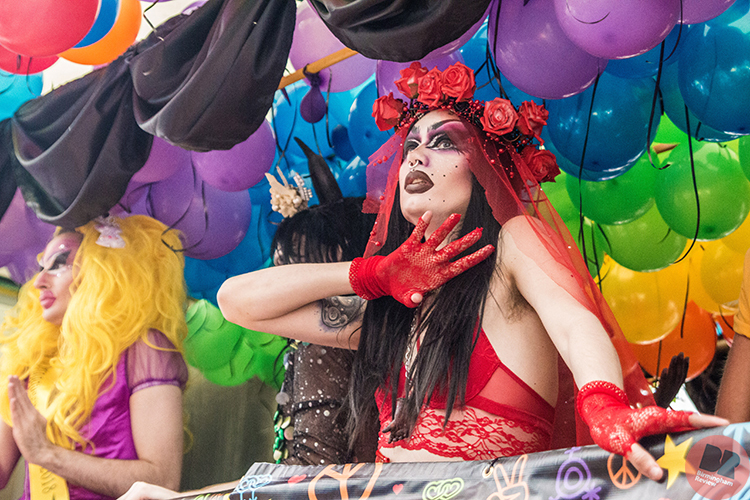 In traditional Pride fashion, the festival kicked off with the carnival Parade with this year’s theme as ‘Be You’. 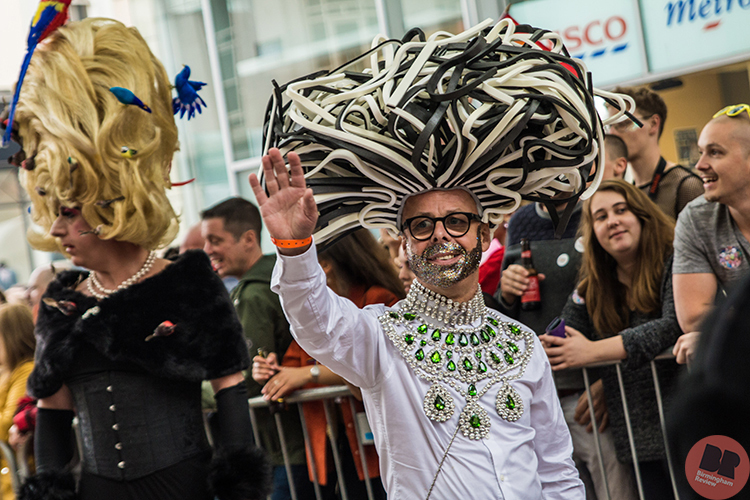 Although the Parade didn’t start until around noon on Saturday 26th May, many people were packing into Victoria Square – where the Parade began – from much earlier to ensure a good view of the ‘best and most visible procession through the city ever’. 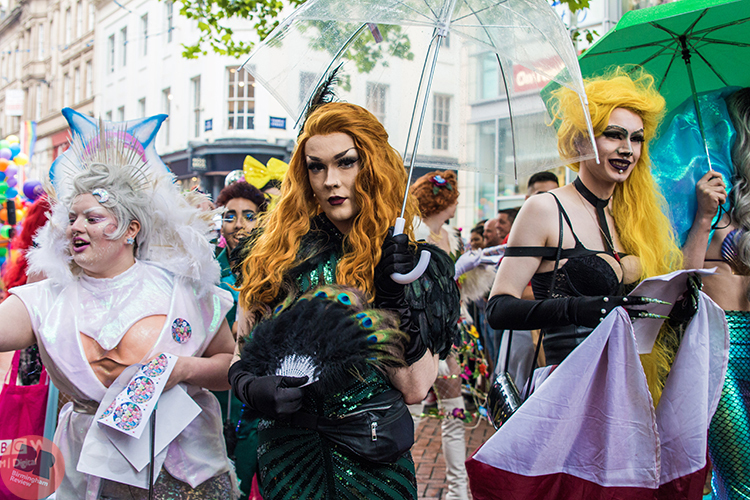 Introduced by festival organisers and the Birmingham Lord Mayor, the Birmingham Pride ‘Be You’ Parade stretched from Victoria Square down New Street, the High Street, Carrs Lane, Smallbrook Queensway, and Hurst Street, before reaching the main Pride Festival site at the Gay Village in the Southside area of Birmingham. 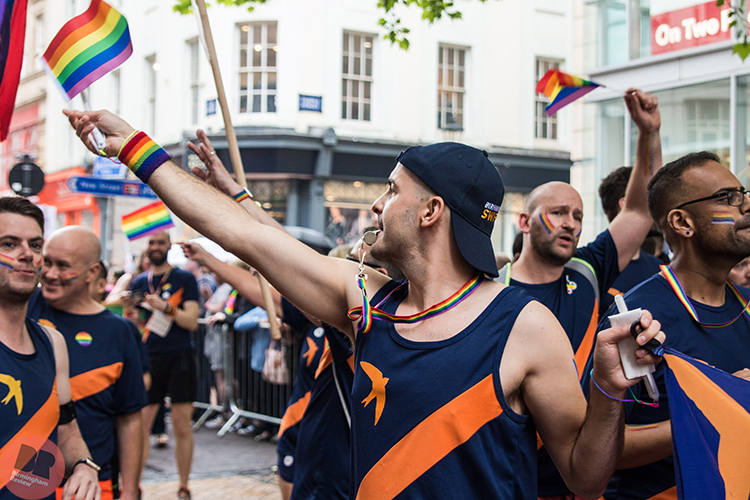 Shops that lined the High Street hung out LGBTQ+ flags; Second Cup Coffee offered face-paint and glitter in the corner of its crowded coffee shop whilst people roamed up and down selling flags and whistles. 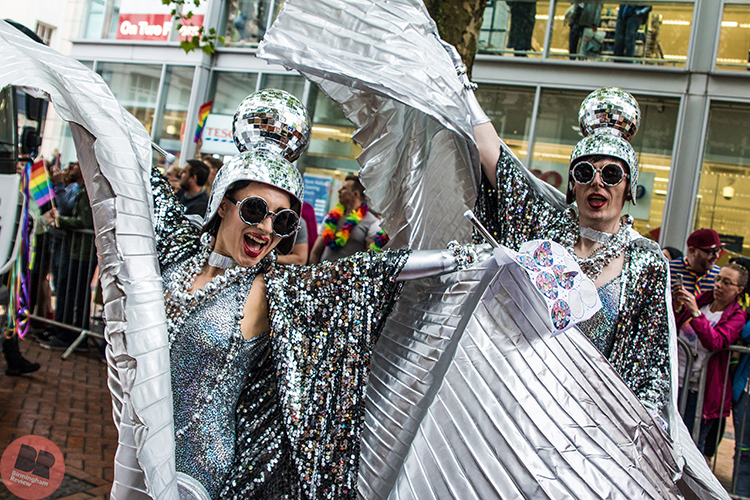 As the start time grew closer, the High Street became a multi-coloured sea of glitter, leather and fishnet with people donning LGBTQ+ flags fashioned as capes or dresses. 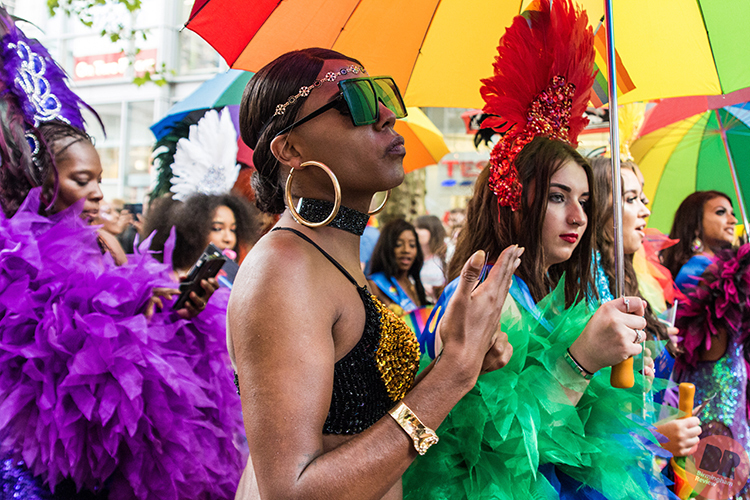 There was a tangible anticipation as a samba band filled the air to signify the start of the Parade, with a diverse array of floats and walking groups coming together in celebration and liberation; this year’s ‘Be You’ theme created an inclusive Parade that was both incredible and empowering to watch. 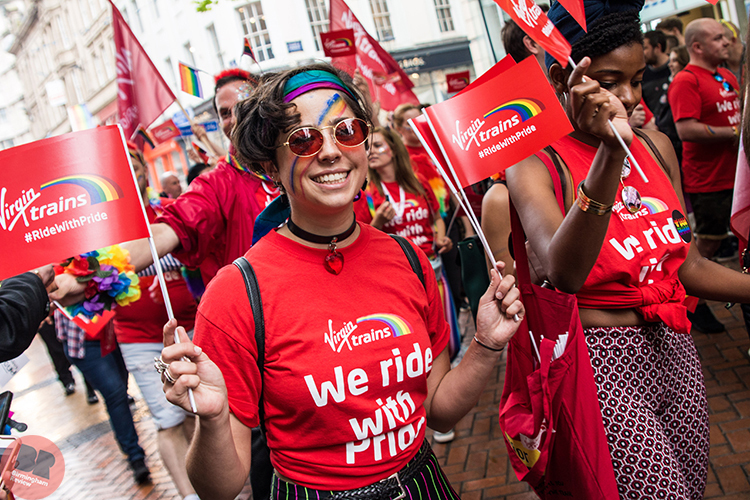 Corporate giants drove the route on double-decker buses or lorries covered with bunting, blasting upbeat music from their speakers as their staff danced to their hearts content. Amongst these were the likes of HSBC UK (the events’ leading sponsor for 2018), Virgin, Royal Mail, and BT. 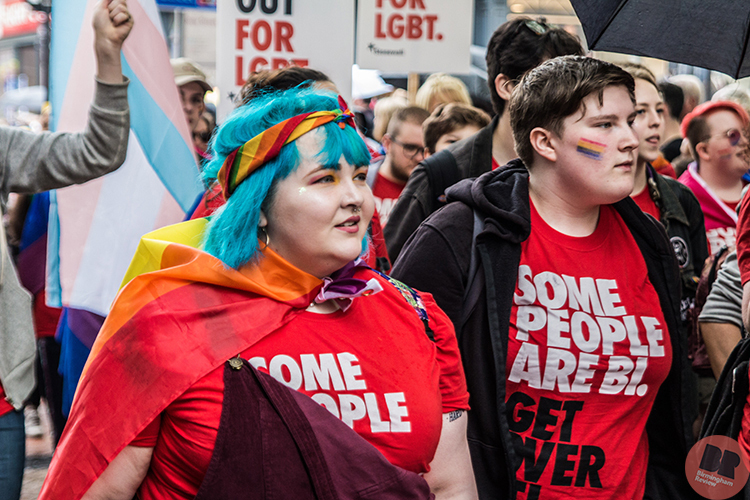 Numerous organisations and charities were also walking the parade, such as African LGBTQ+ activists Out and Proud, Stonewall, and the social welfare charity Samaritans who held signs proudly above their heads reading ‘come out for LGBT’ and ‘I could finally be myself’. 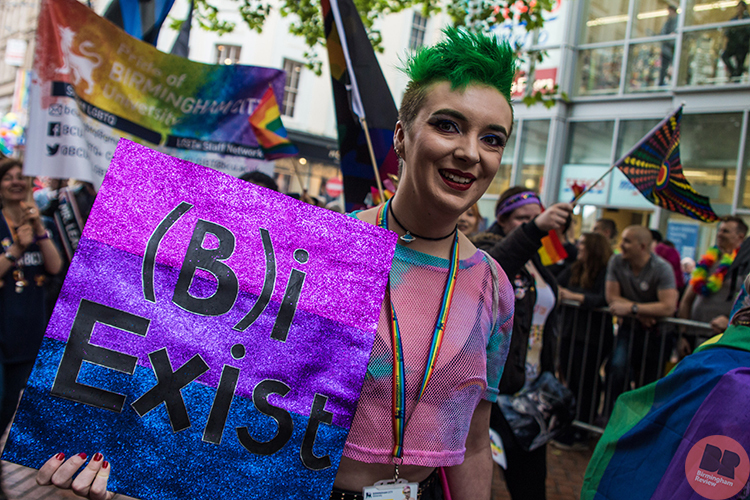 Additionally, there were a range of societies representing minorities groups within the LGBTQ+ community, such as Unmuted – ‘a social and peer support network in Birmingham for people of colour who identify as LGBTQI’, and Bi Pride UK – an organisation that strives to ‘create spaces where people who experience attraction beyond gender can be freely visible and celebrate themselves and their identities’, as well as Leicester based social enterprise Pride Without Borders who aim to provide support to those coming to the UK to ‘seek asylum specifically for their LGBT+ identity’. 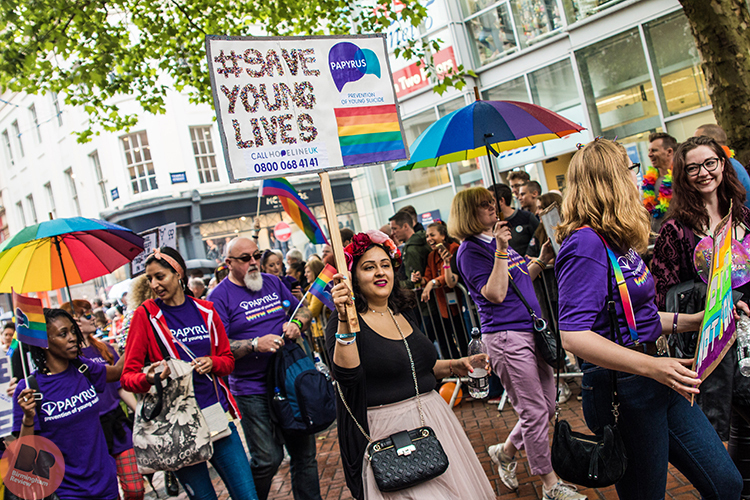 The walking groups spanned a wide range of individuals, from teachers, doctors, dentists, older members of the LGBTQ+ community, to people living with HIV and those within a number of religious and/or faith groups. 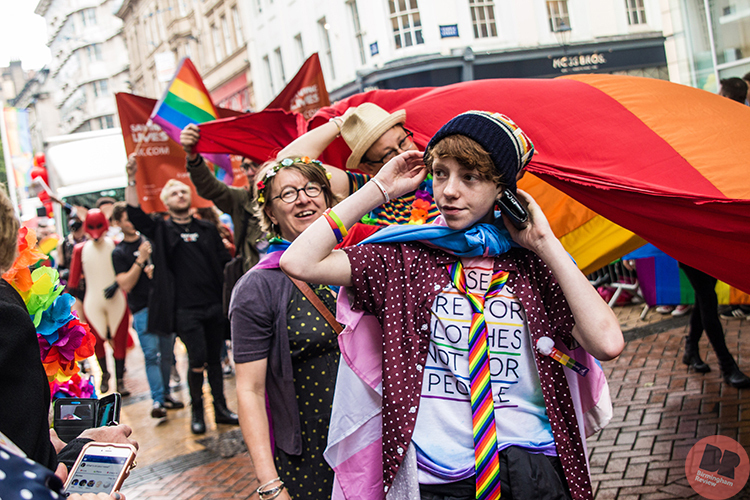 There was also a strong core the Birmingham LGBTQ+ community; local drag artists and performers danced atop The Village Inn and The Nightingale Club floats, whilst the Symphony Hall showcased their digital van with a newly commissioned video of the YouTube star the Shirtless Violinist performing on their stage. 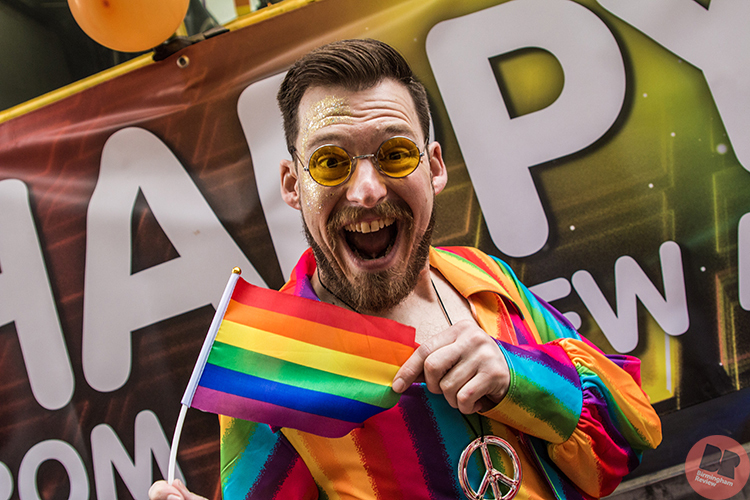 The whole ‘Be You’ Parade was sound-tracked by unrelenting cheering from attendees, with the atmosphere feeling full of camaraderie, joy and acceptance, welcoming whoever walked past. 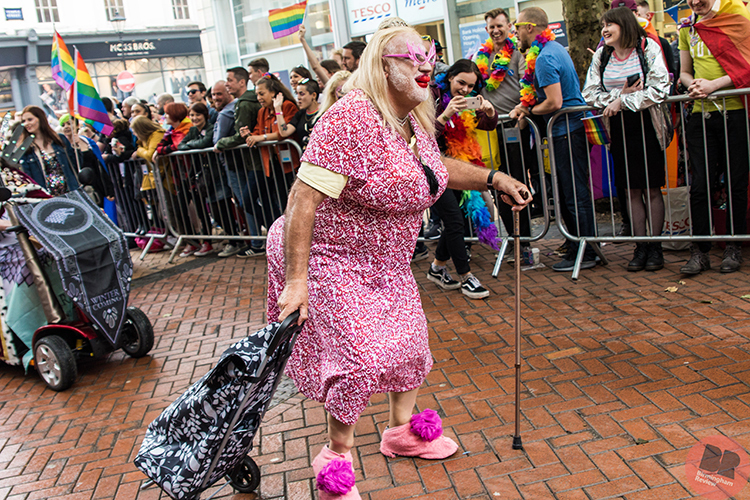 A couple drove by in an old-fashioned car wearing Prince Harry and Meghan Markle masks accompanied by two shirtless men clad in leather harnesses and short shorts, drag artists in the most elaborate and eye-catching costumes stopped by the barriers to pose for photos and chat, whilst the policemen observing the Parade joined in with their cheeks covered in multi-coloured paint whilst the blue light services in their full uniform (complete with multi-coloured leis and whistles) danced behind their vehicles as their sirens blared in time with the music. However, it was the homemade signs that evoked possibly the most emotion and unity, reminding us all of the necessity of events like Pride. 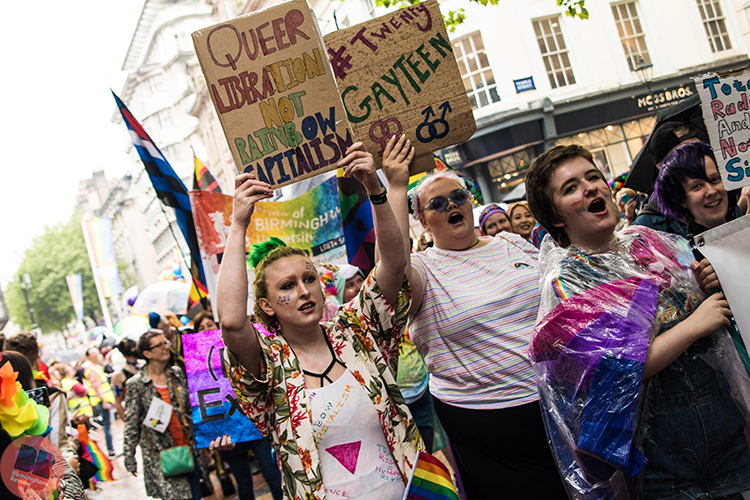 Amongst them were placards declaring ‘I deserve a great love story’, ‘love your neighbour as you love yourself’, ‘I have a beating heart, I’m multidimensional, I’m a fully-realised creation’, ‘Black queerness matters’ and ‘Black, queer and beautiful’, whilst one simply stated ‘change your perception towards the LGBTI community’. 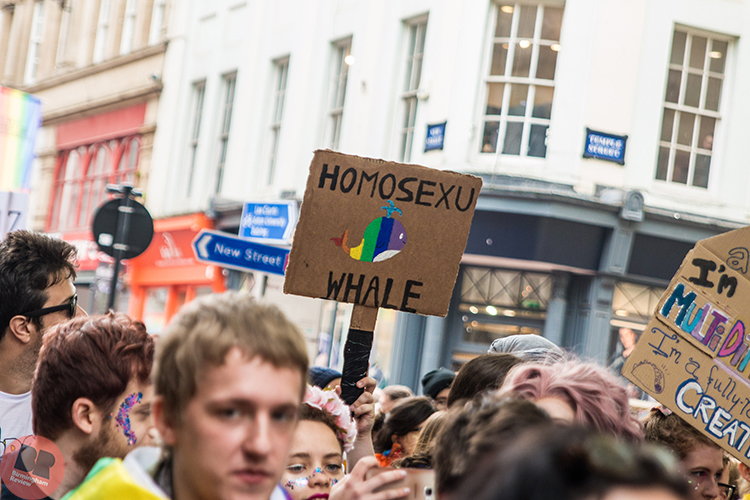 And a sign celebrating being ‘homosexu-whale’. Say it quickly. Throughout all of this, I’m grateful to be from Birmingham – as cliché as it sounds. 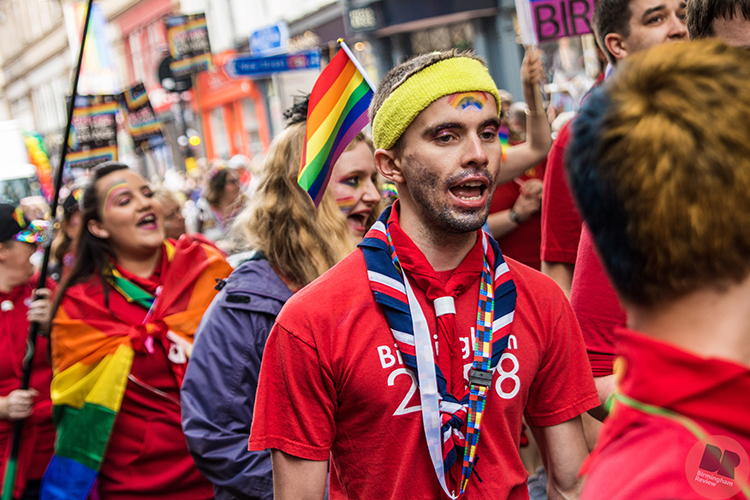 The sheer amount of diversity within the ‘Be You’ Parade alone (before we are even half-way into the main Pride celebrations) is empowering to say the least. 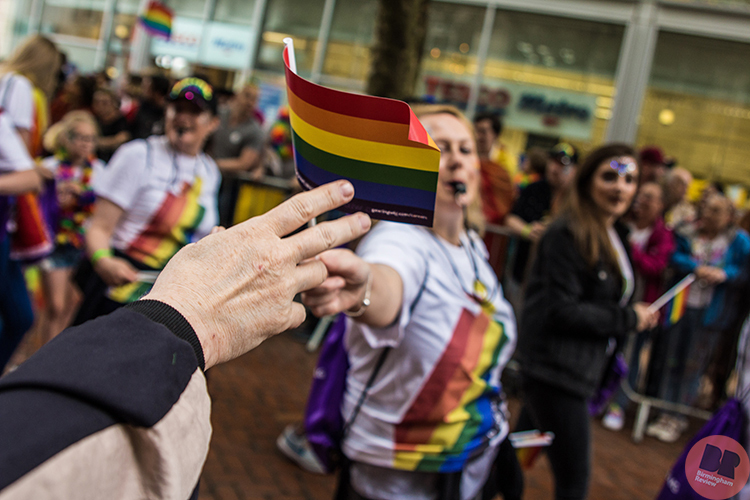 The Parade is a testament to Birmingham’s cultural diversity, and although a time for celebration it also serves as a reminder that people are still tirelessly fighting each day for the simple right to exist as themselves. 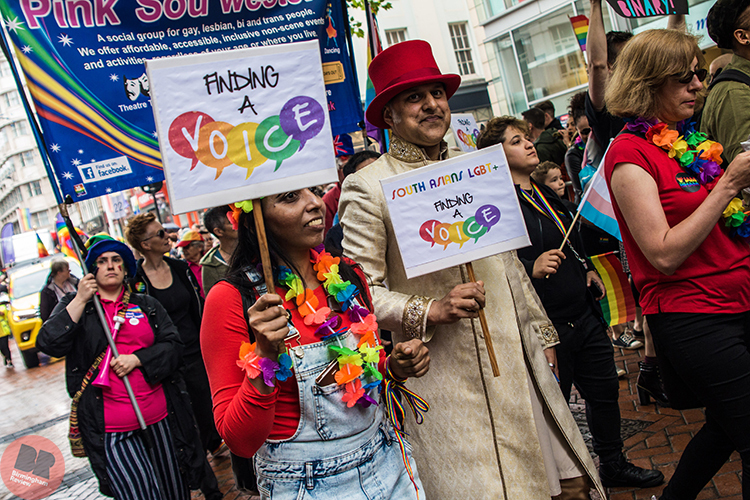 Yet it’s through events such as Birmingham Pride that equality, unity and freedom can be fought for and achieved for so many. 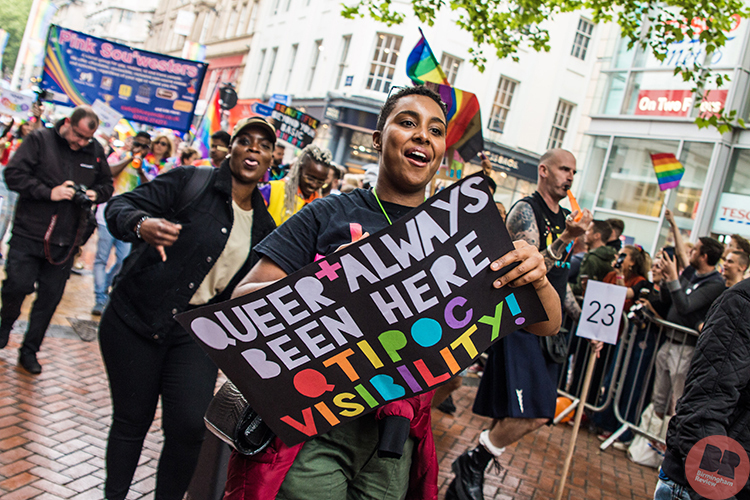 Although I’ve tried before and try again now to properly explain Birmingham Pride, my words always fall short; I think it’s something you have to experience. 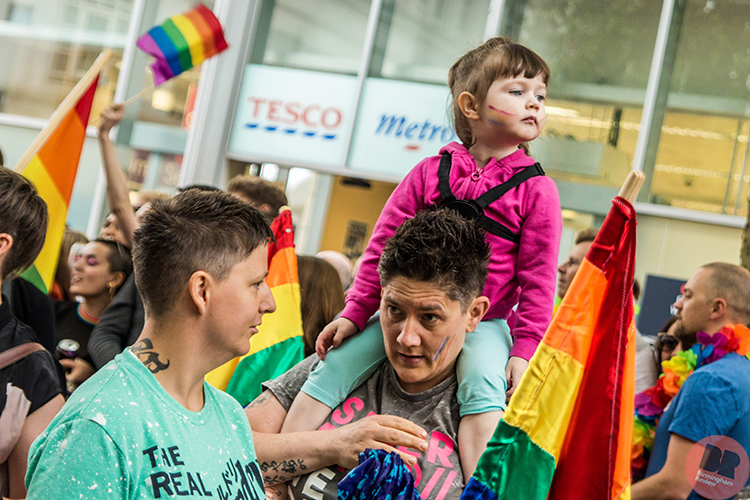 Barton, however, summarises by stating, “It’s a wonderful celebration of peoples’ right to be whoever they want to be. 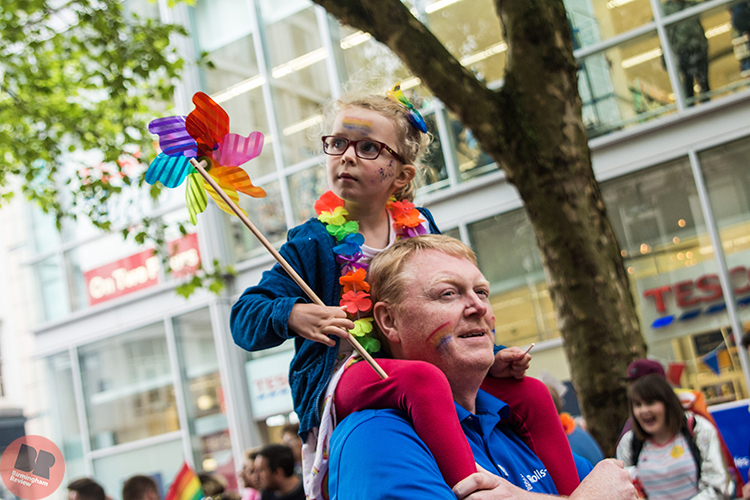 The parade for me is the most important part of the festival as it shows how we are proud to be a diverse and inclusive city”.